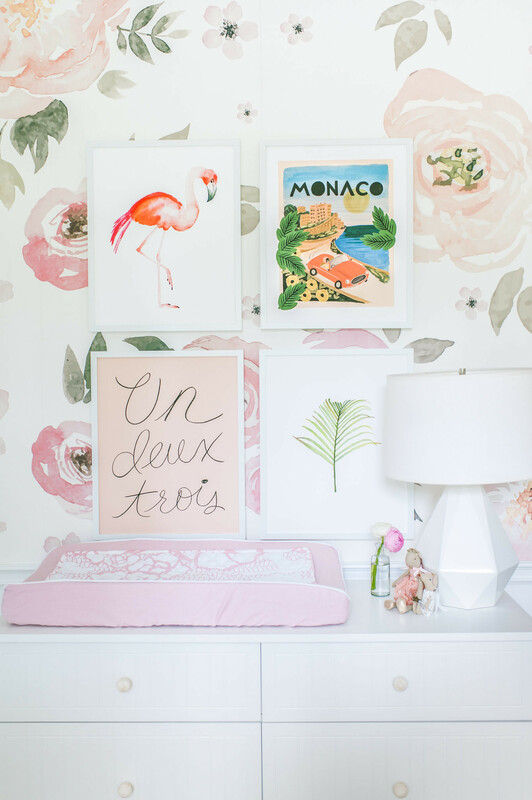 Looking for watercolor nursery inspiration? Watercolor is a beautiful and unique way to add a unique look to a nursery. 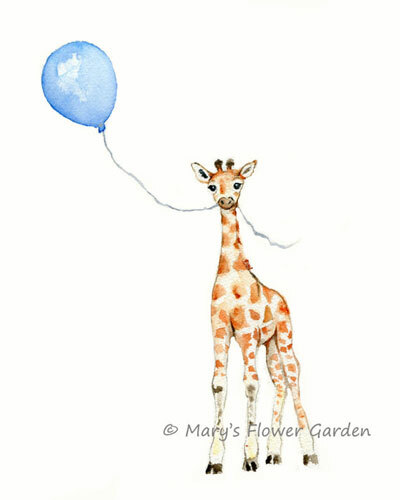 Watercolor prints can be found on all sorts of nursery products including baby bedding, wall decor, wallpaper and more. 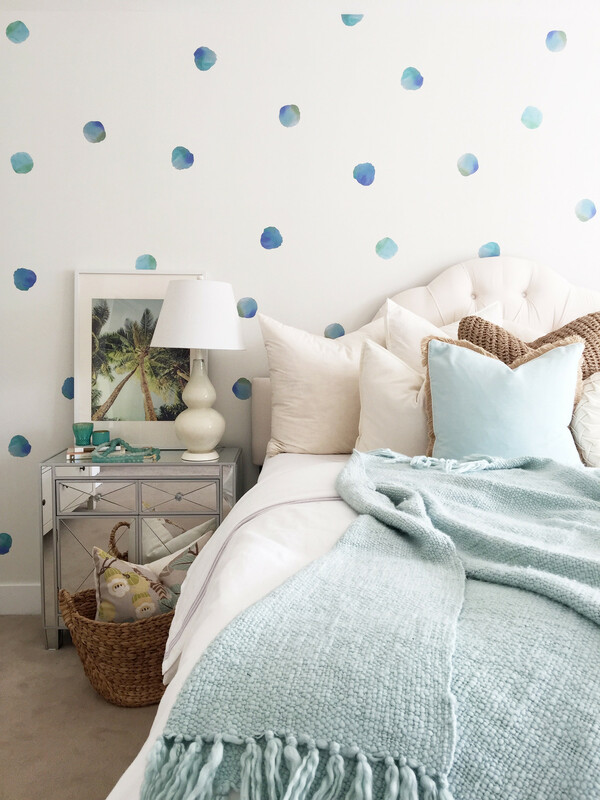 We love the different ways watercolor prints can make a room pop. 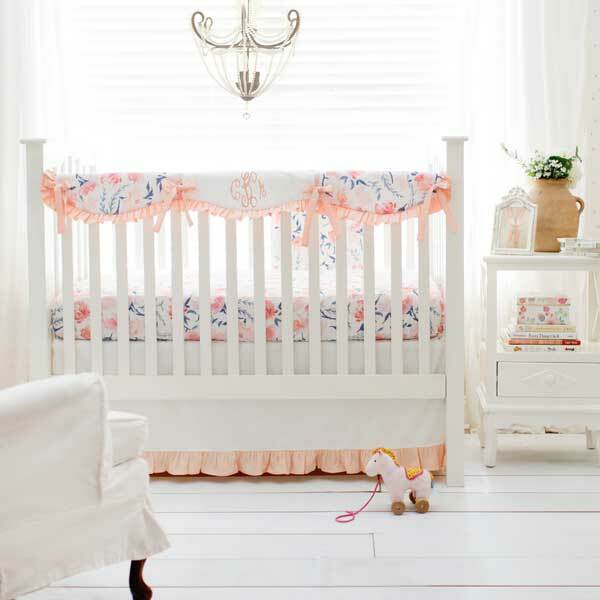 Two of our newest crib bedding collections feature a gorgeous floral print in peach and coral colorways. Bring sophistication in to your baby's room with watercolor wallpaper or decals. This is a simple way of creating a unique and diverse look in to your nursery. The watercolor wallpapers shown in the rooms below makes a bold statement, and create a gorgeous space for your little one! 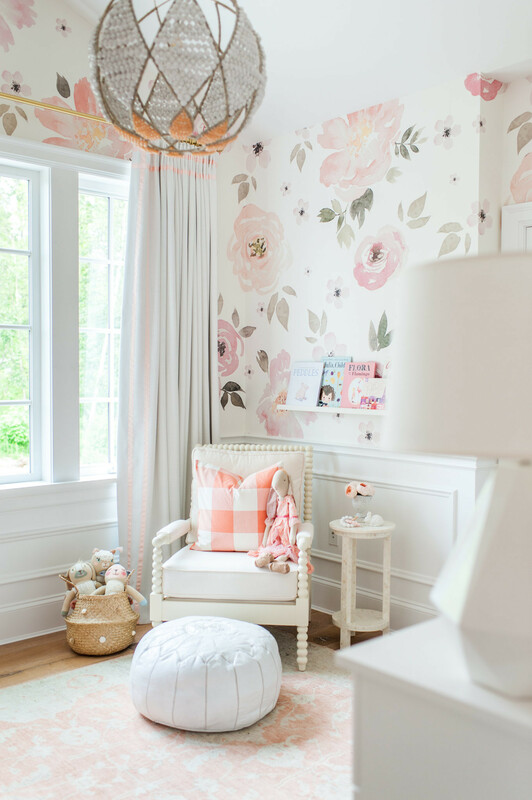 The soft muted colors are perfect for a baby girl's sweet nursery. Add a more simple touch of watercolor with these adorable watercolor decals. Available in a variety of colors, these sweet polka dots will add color and charm to your nursery! If you are looking for a unisex wallpaper pattern, the cactus print below might be perfect for you! 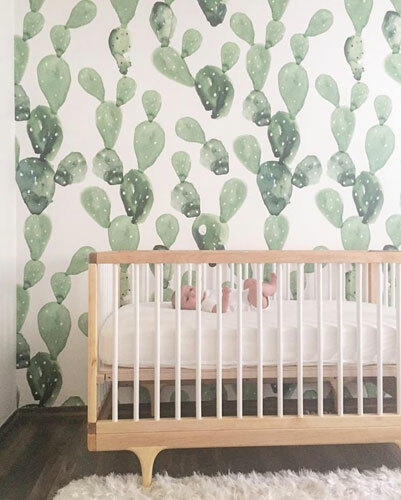 Cacti are very trendy and are ideal for a neutral nursery. The most simple way to incorporate watercolor into a room is with wall art decor. Wall art can pull the entire room together, and add the finishing touch to your nursery. Do you have a watercolor themed nursery that you'd like to share? If so, please tag our Instagram or email us pictures. We'd love to see it!